E&M speaks with Angelika Hild, founder of the European Young Feminist transnational platform for young European feminists. Hi there! 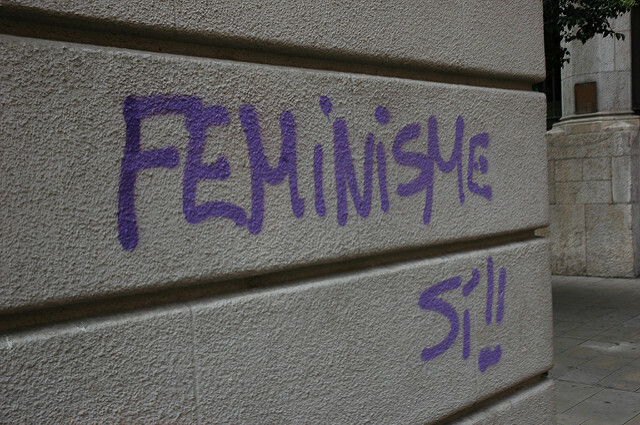 To begin with, how would you describe what the European Young Feminists is and what you do? European Young Feminists is a platform from young feminists from all over Europe, with contributors from a range of countries from within the EU and other European countries. We have monthly themes, such as Human rights for women or Women in power and decision making, and contributors write about these themes in relation to their own country. In this way, people from outside the respective countries can gain knowledge about the struggles of feminists in other parts of Europe, and ultimately, we can all learn from each other. All our articles are published both in the “original” language of the country and in English. How did you create the European Young Feminists? I had created the blog in summer 2015, but it really took off after the Young Feminist Summer School organised by the European Women’s Lobby in September 2015. This was a very inspiring event where around 50 young feminists had the opportunity to connect and get to know each other. Thankfully, a lot of them decided to join the blog! What inspired you to start a transnational feminist network? 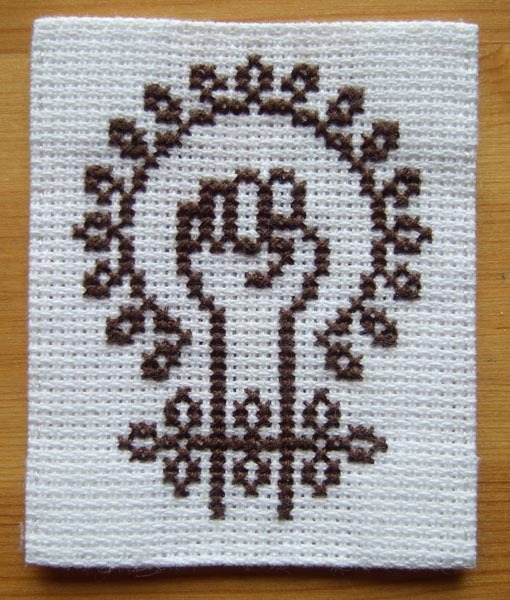 I used to read Feministing, a US-based blog for young feminists, and at one point it struck me that I knew much more about what was going on in the USA regarding feminism than in other European countries! I figured that here in Europe we should also have the possibility to connect with each other, and that it was important to discover the perspectives of feminists from other European countries. Some countries are more advanced in certain areas than others, and on the other hand, we also often face the exact same problems. This makes it all the more important to join forces, learn from the struggles of others and support each other. EYF is one attempt to facilitate this process. What are the challenges of transnational feminism, and transnational reporting on gender equality? The main challenge is that readers might not be fully aware of the history and cultural background of the countries we report upon, and neither know their most important politicians. This means that the articles in the original language often cannot simply be translated. More explanations are needed so everyone can really understand the points the author is making. On your website the landing page is the racially inclusive remake of the Rosie the Riveter poster. I thought this was really interesting especially since “European Feminism” is a term that has been tarnished for propagating a privileged ‘white’ feminism, how do YEF plan to tackle this? I have to admit that currently we are not the most diverse bunch of people. Therefore, it is high up on our agenda to get more inclusive. We were lucky enough to get in contact with a number of different organisations via the European Youth Forum, so we are actively recruiting in order to live up to the principle of intersectionality. This does not only concern the question of ethnicity, but also other groups who face multiple discriminations, e.g. disabled people, people discriminated because of their religion, etc. Young feminists interested to become a contributor are very welcome to contact us via contact@europeanyoungfeminists.eu! Many feminist journalists get a lot of verbal abuse on the comments section with growing anti-feminist groups online, have you had any problems with any of your online content? So far, there have been a few trolls on the blog, but we do not automatically publish comments – they have to be reviewed first. Therefore, we simply do not publish comments with discriminatory content and/or hate speech. We also have had a few incidences on facebook and twitter; in these cases we blocked the respective accounts. Frankly speaking, we have better things to do than spending our time with trolls and haters who are not interested in a real discussion anyway. What do you think are the biggest challenges facing Europe regarding gender equality today? One of the major challenges is the conservative backlash in countries such as Poland or Hungary. The parties which are in power in these countries are not only nationalist, but also anti-feminist. They propagate a view on women (and men) which insists on an alleged complementarity of the sexes and tries to push women “back to the kitchen”. But similar parties are also gaining more and more popularity in other parts of Europe, and the frightening thing is that women also lead such parties. Another big challenge is the lack of will from within the European Commission to really push for the topic of gender equality and make it a priority. Gender equality is not amongst the 10 strategic priorities adopted by the European Commission, and the current “Strategic Engagement for Gender Equality“ is not even a strategy, but only a Commission working document, despite the fact that the European Parliament and many women’s organisations have stressed the importance of a new strategy. Click here to visit the European Young Feminists. Angelika Hild is the founder and co-director of European Young Feminists. Originally from Germany, she is now living and working in Brussels. Angelika has experience in campaigning against street harassment and is specifically interested in the Europeanisation of national gender equality policies.